Sen. Scott Rupp: After a couple of providers of service contracts made money, some employees left to start companies -- and stayed in Missouri. The state of Missouri has unwillingly become "the Silicon Valley for auto service contract scams." At least that's how the state's attorney general sees it. Why Missouri? State officials say a couple of businesses several years ago took a new approach to selling auto service contracts -- directly to the consumer instead of through a dealership. The no-middleman concept did so well and made so much money, it inspired a lot of imitators, officials said. "A couple of them really took off," said state Sen. Scott Rupp, of Wentzville. "Employees from those companies left to go off and start their own companies. They're all around the St. Louis area, I guess, because they didn't want to relocate." Rupp is a member of a state task force that's considering stricter regulations for the sale of auto service contracts. The Service Contract Industry Council, a trade group based in Tallahassee, Fla., said the situation in Missouri might provoke stronger regulation that could restrict the sale of service contracts everywhere. The group is lobbying Missouri to adopt tougher regulations spelled out in model legislation the service contract industry can live with, such as a requirement to license telemarketers. Not incidentally, Rupp's constituency of Wentzville is home to US Fidelis, a service contract company that filed for Chapter 11 bankruptcy protection this year and is operating as a debtor-in-possession. US Fidelis put Missouri on the map in terms of complaints against the direct-to-consumer service contract business. Fidelis made a huge splash in the months before it went bankrupt with a nationwide TV ad campaign that included a NASCAR sponsorship. Behind that facade of big-time success, US Fidelis was in trouble. Its bankruptcy petition lists page after page of people demanding refunds, plus a long list of complaints and lawsuits in several states accusing Fidelis of violating telephone solicitation regulations, breach of contract and more. Besides US Fidelis, several other Missouri companies sell auto service contracts -- some of them even less reputable, state officials said. Moreover, some of the smaller companies are difficult to identify because they've changed names, the officials said. 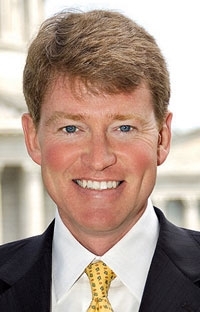 Late last year, Missouri Attorney General Chris Koster sued 10 automotive service contract companies. Last year Missouri Attorney General Chris Koster sued 10 auto service contract companies, the biggest source of consumer complaints. The attorney general's office; the state Department of Insurance, Financial Institutions & Professional Registration; and the Better Business Bureau of Eastern Missouri and Southern Illinois have been inundated with consumer gripes. Together, the organizations have fielded more than 1,000 complaints about auto service contracts from in-state and out-of-state consumers since the start of 2009. That includes complaints about US Fidelis and other companies. Last year, auto service contracts were the biggest single category of consumer complaints for the attorney general's office, officials said. Shortly after US Fidelis filed for bankruptcy protection, Attorney General Koster created a task force to consider establishing sales practice guidelines designed to stop auto service contract fraud. The task force met last month to get public comments. The Service Contract Industry Council submitted a a call for stricter regulation. The group represents service contract providers in consumer goods and homes as well as automotive. Its automotive members include the insurance subsidiaries of captive finance companies and service contract providers that sell primarily through dealers. The group's executive director, Timothy Meenan, heads a similar group -- the GAP Alliance, which represents providers of guaranteed asset protection coverage. Some companies belong to both groups. Those groups are lobbying state governments for tighter legal definitions for aftermarket products such as service contracts and GAP. In some states those products fall into a gray area between insurance and other consumer products. The two groups promote model laws that can provide consistency from state to state for big, national companies and could head off potentially more onerous laws. Here are some common complaints as described by the Missouri attorney general and the Better Business Bureau of Eastern Missouri and Southern Illinois. • Consumers receive a postcard claiming to be a "motor vehicle recall and warranty notification" from their automaker. People who call the number get a sales pitch for a service contract. • Another pitch warns consumers that their warranty has expired or is "about to expire," even if it isn't. • Customers think they bought a comprehensive service contract but receive only an oil additive. Meenan also emphasizes the consumer protection benefits of stricter regulation. For instance, in Missouri, service contract providers don't have to give customers a copy of the terms and conditions before the sale -- even if they request it, he said. The council called on the state to require licenses for telemarketers and to prohibit practices such as misrepresenting the provider as being affiliated with a car company. 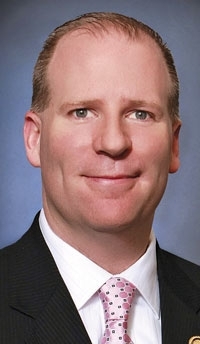 Meenan said his group doesn't want to outlaw telemarketing, which some of its members also use to promote service contracts in addition to selling them through dealerships. "There are legitimate reasons," he said. "If a customer opted not to buy a service contract at the dealership, you want to remind them one more time that it's available. There needs to be a way for legitimate providers, car dealers and manufacturers to communicate with the customers." There's nothing inherently wrong or unethical about direct-to-consumer sales, said Ken Murer, CEO of Automotive Product Consultants Integrated Services Group. He said the company specializes in direct-to-consumer sales of auto service contracts and works with dealers and auto lenders. Murer said his 10-year-old company, based in Chesterfield, Mo., was one of the first in the area. "We are all for requiring truly A-rated, insurance-backed products with an honest disclosure at a fair price. We are not selling snake juice in a bottle," he said in a recent phone interview. Murer said he participated in last month's state task force meeting. Meenan of the service contract council said 35 states have adopted the group's model legislation, or some form of it, to regulate service contract providers. What happens next in Missouri is that state regulators will review the public comments and decide whether tougher regulations are called for. "We'll discuss with the attorney general where we go from here," said a spokesman for the Department of Insurance, Financial Institutions & Professional Registration. Meenan acknowledged that it's unusual for a trade group to lobby for more regulation. He said the Service Contract Industry Council, founded in 1988, decided in its early days that it had to act after some service contract providers went broke. Said Meenan: "We decided let's embrace some regulation, and the bad guys will never qualify."